This is a list of the best Cleveland Browns of all time. When people think of the Cleveland Browns and its greatest players, they'll usually think back to the team's glory days of the 1950s and early 1960s. The Browns had some of the best players in football history on their teams. The early days of the Browns franchise featured a stout defense, but people who recall the Browns early years remember its offense. Marion Motley, Lou Groza, Dante Lavelli and quarterback Otto Graham were a high flying bunch who greatly influenced what became the modern NFL offensive game. These players are in the Pro Football Hall of Fame and are some of the best Browns in team history. Jim Brown is considered by many to be not only the best Browns player, but one of the greatest football players ever. His mix of strength and power made him one of the most feared and best running backs of all time. 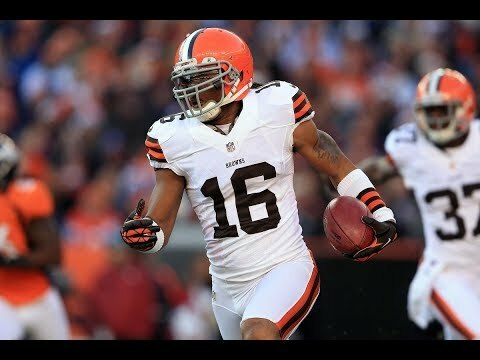 Despite retiring from football at the peak of his powers, Brown is beloved by the Cleveland faithful and his standing as one of the top Browns ever is safe. The 1980s were ultimately very disappointing for Browns fans, but it wasn't because of a lack of talent. These Browns teams had some of the best players in team history. Earnest Byner and Kevin Mack proved to be a formidable 1-2 combination at running back, even if Byner is remembered for "The Fumble." More recently, left tackle Joe Thomas is one of the best linemen in the entire NFL and is a solid anchor on their offensive line. This list of the best Cleveland Browns of all time includes players from the team's AAFC days through the end of the first Browns era in 1995 to the present day. If you see anyone who should be on this list and isn't, feel free to add him. Vote or rerank this list based on who you think is the greatest Cleveland Browns player in history.